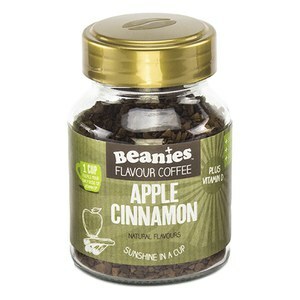 Beanies Plus - Sunshine in a Cup! 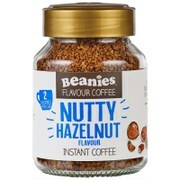 Introducing Beanies+, coffee with 'wellbean' at its heart. 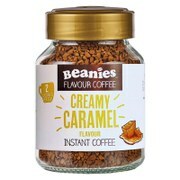 Flavour coffee specialists Beanies have launched an innovative new range of premium flavour coffees plus Vitamin D. Three infused instant coffees full of Beanies' credentials - that's no sugar and just two calories a cup - and fortified with a daily dose of the sunshine vitamin. Just one cup of Beanies+ delivers the daily required dose of Vitamin D. Known as the 'sunshine vitamin' – as sunlight (ultraviolet B radiation) stimulates the production of Vitamin D in the skin - it helps supports immune function, helps protects from muscle weakness, and helps protects against several bone diseases. 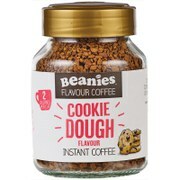 With Beanies+ just put the kettle on. Convenient. Simple.